Mix the shredded coconut with condensed milk,mold into oblong shape, add them to freezer for 20 minutes and then dip them in melted chocolate. 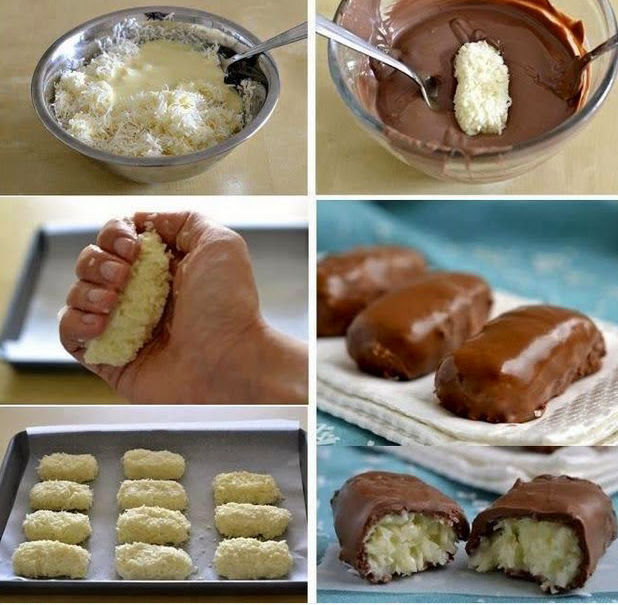 Stick Almonds in them and have Almond Joys Be creative!! !